"And even as all around her Lothlorien's silver leaves fell shining to the ground, she dreamt of just a single golden one. Warm and perfect. Fangorn ever held her heart." 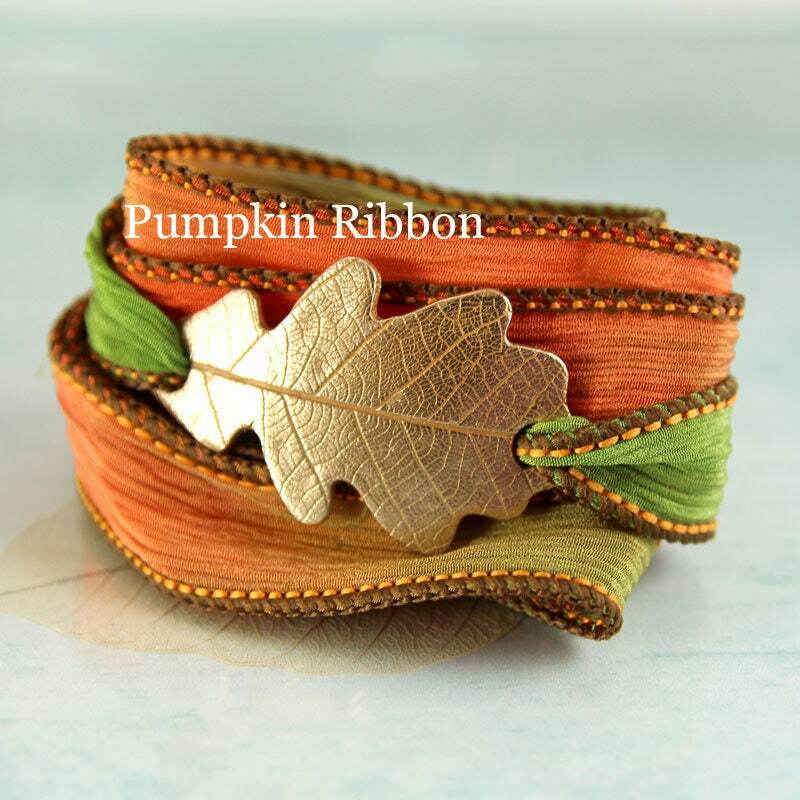 The softest silk ribbon wrap bracelet with a decorated bronze slide. 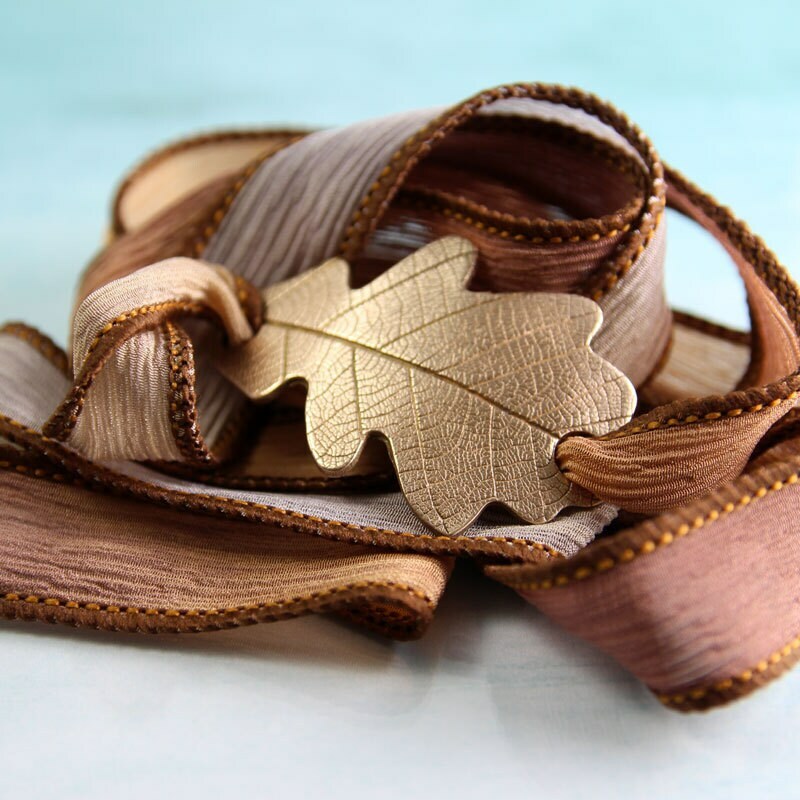 I have created the leaf by hand from recycled bronze in metal clay form. After firing the plaque is solid bronze. 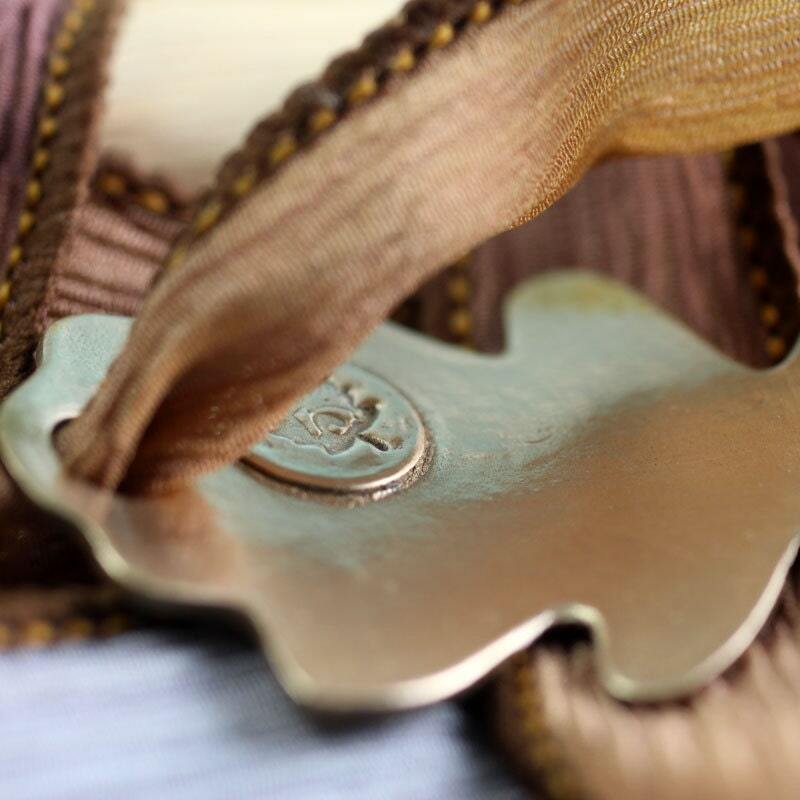 The golden metal is shaped as an oak leaf. 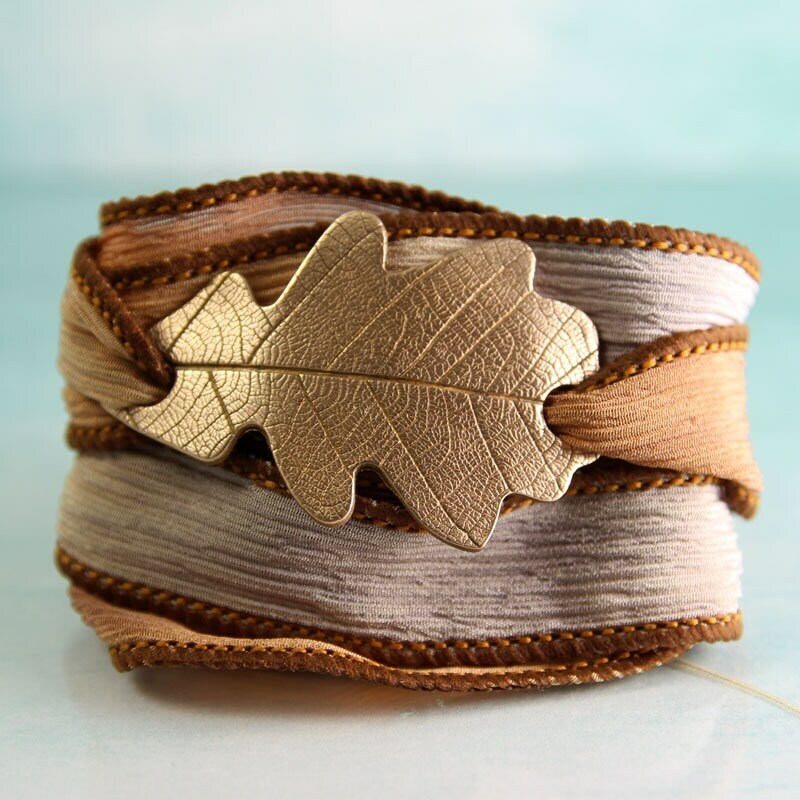 The oak is an ancient symbol of wisdom, wealth and endurance. 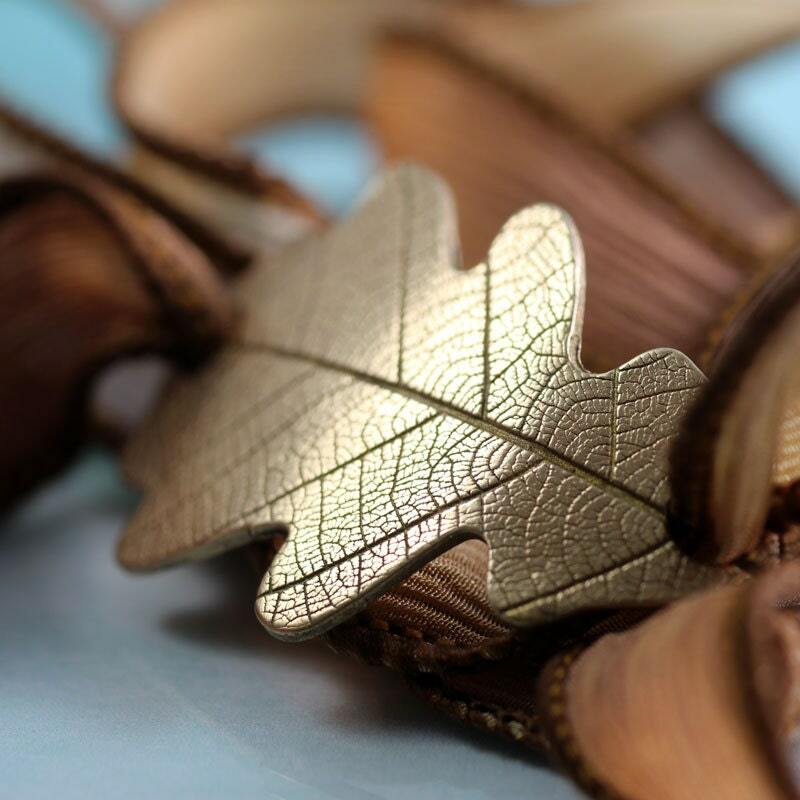 Wearing an oak leaf was traditionally a sign of special status among the Celts (as well as ancient Greeks and Romans). The bronze is slightly curved to follow your wrist. 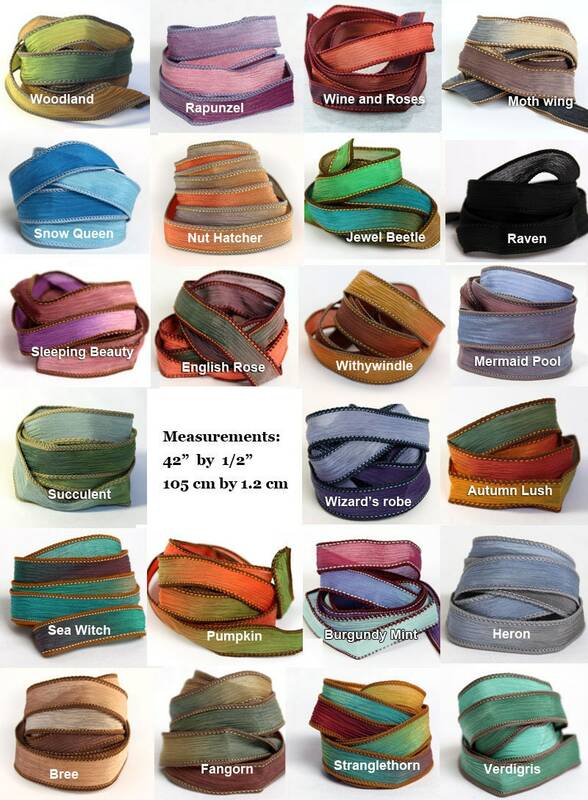 The wrap here is the "Bree"' ribbon - More colour examples in the end photos. 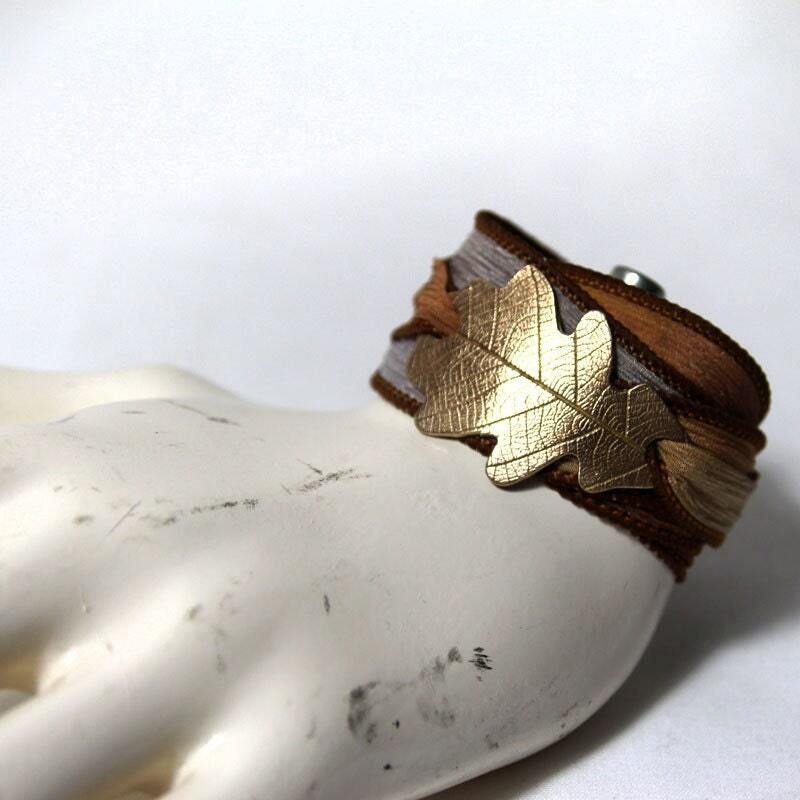 Really lovely leaf bracelet, thanks! This is a christmas present for someone. 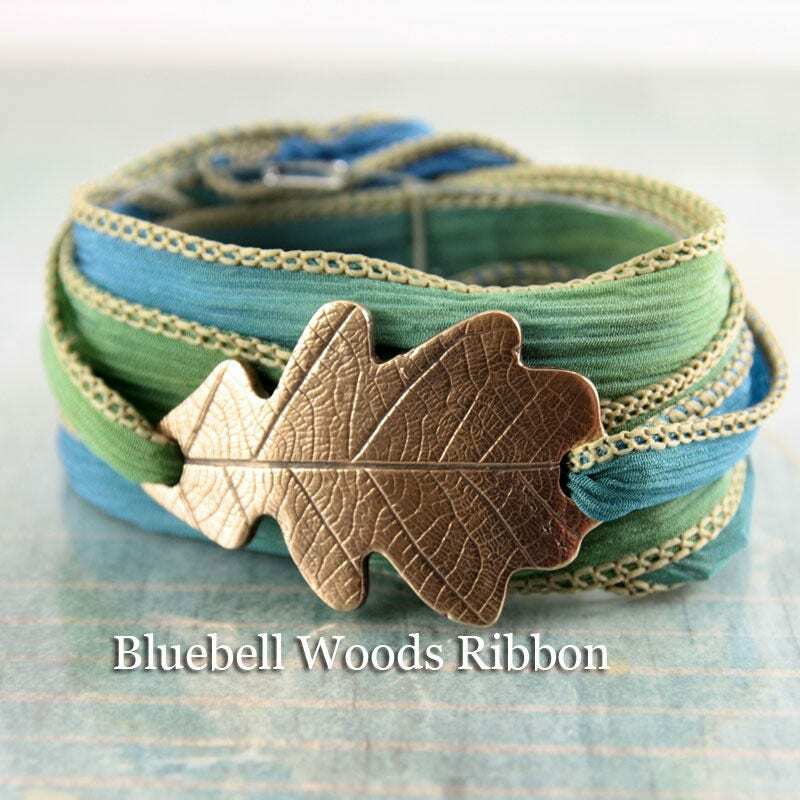 This the second wrap bracelt i have bought from sycamoremoon and I was sorely tempted to keep it. The bracelet is something i have never seen before. I know i shall be ordering again. 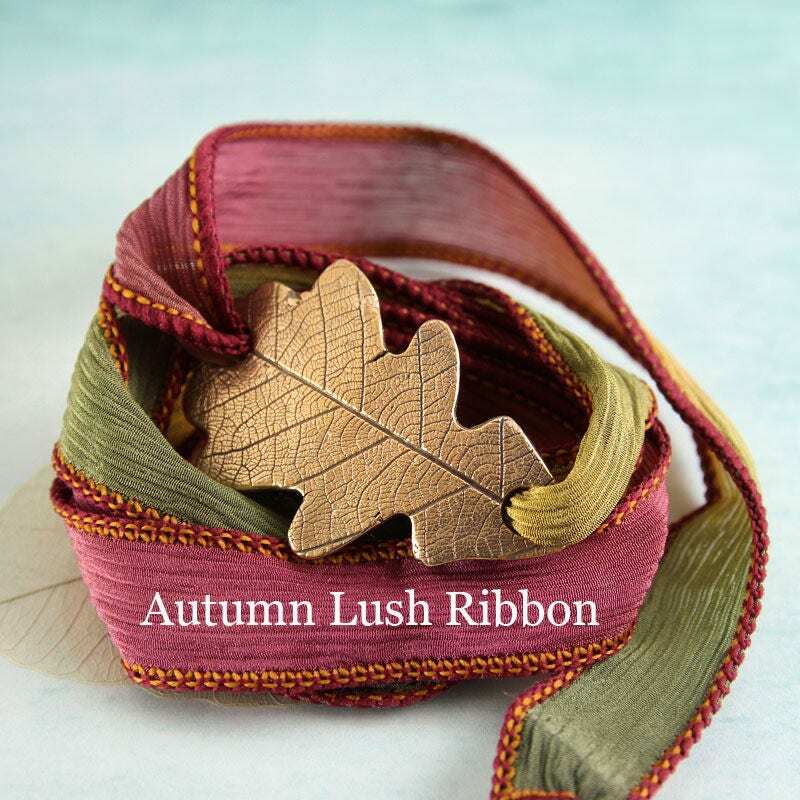 Arrived quickly and looks lovely on. The bracelets arrived very quickly and nicely wrapped. The bracelets look lovely on too. very happy!